I was looking round the pound shop this week and came across a section of garden trellises. For £1 you could get a trellis that expands to almost 1m x 2m and I couldn't resist getting one! 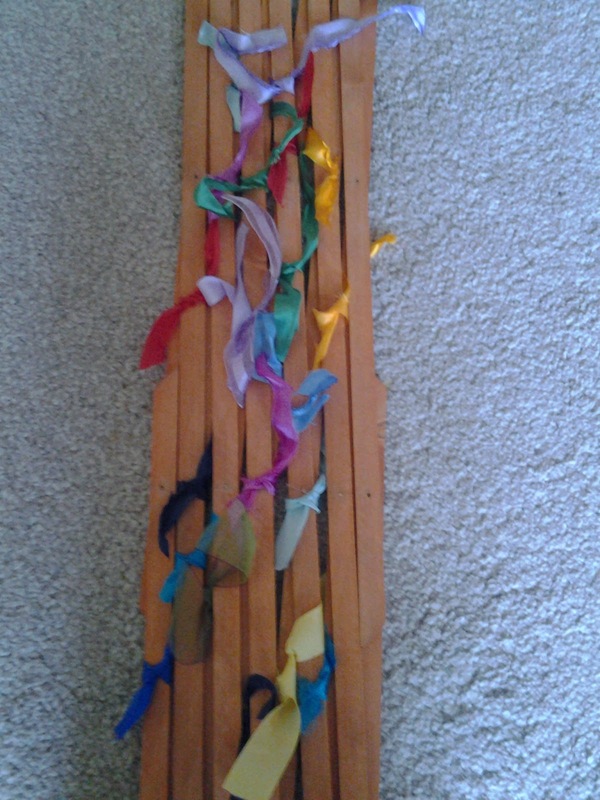 I'd got hold of some different coloured ribbon from the scrapstore and was going to make something rainbow/ Noah's ark related with it so the trellis actually comes in quite handy. 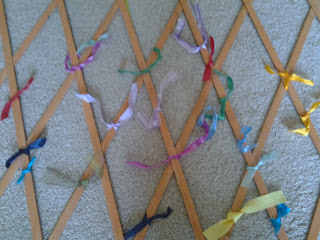 Have a selection of ribbons of different colours available. 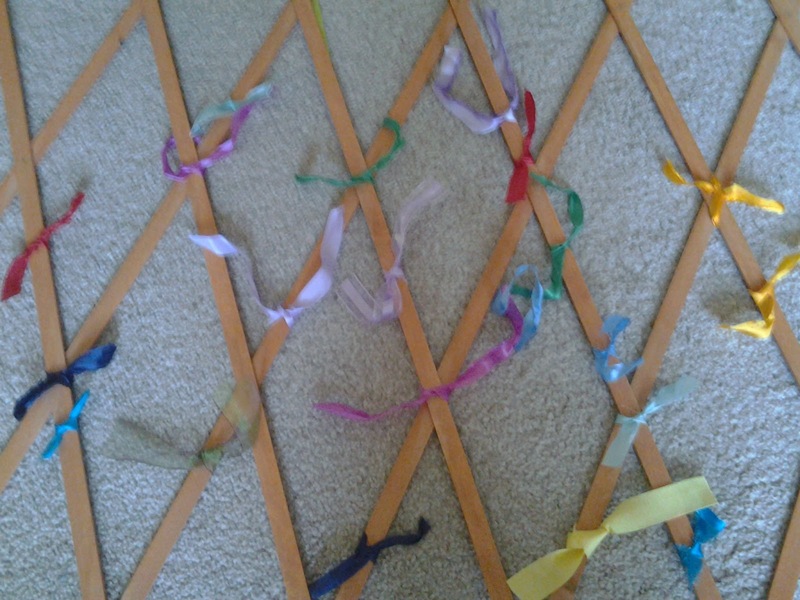 Children choose a ribbon, thank God for something of that colour (e.g. 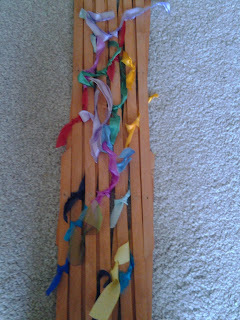 green plants, red strawberries) and then tie their ribbon to the trellis wherever they want to. Eventually the whole trellis will be covered in colour! You can even push the trellis back together again for easy storage and transportation. If you don't have a trellis, any kind of mesh would do and then, when you weren't using it, you could roll it up!